Adding colour, style and practicality to your room, the set of 6 trunks in various sizes are a wonderful way to keep your treasured items safely stored and your home organised and tidy. 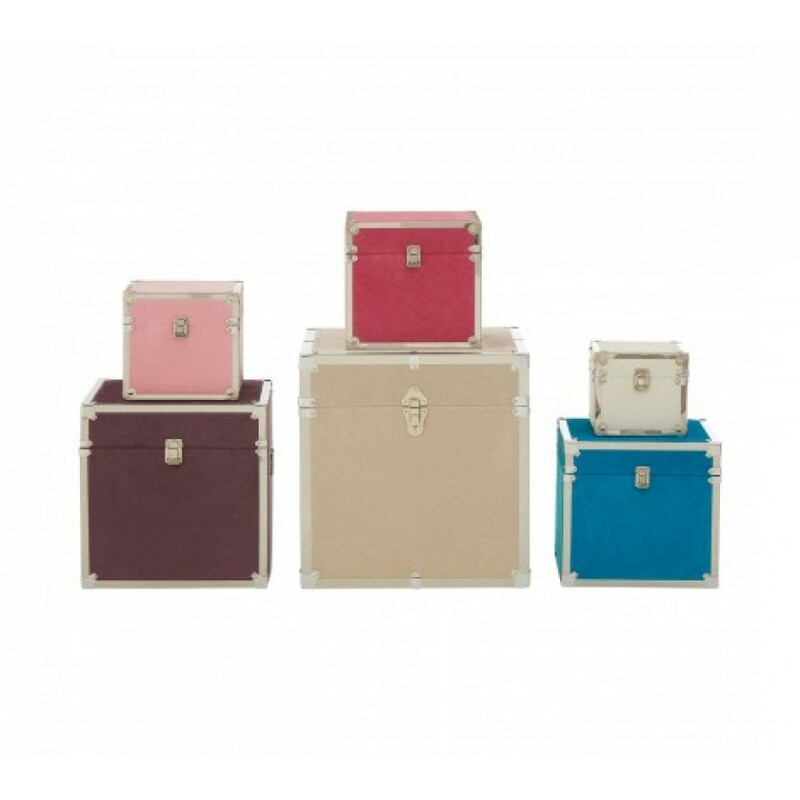 Each trunk is made from lightweight yet durable particle board and is given a glamorous fur effect in either pink, pastel pink, purple, white, mink or turquoise. The stainless steel edges further strengthen the trunks while adding to its style. The two larger trunks feature handles on the side for carrying. Each of them have steel locking latches that will securely fasten adding to the safekeeping of your contents. Ideal for storing your household belongings, the trunks will keep your items safe from damages and dust, while helping to keep your home clutter free. The beautiful and striking set of 6 trunks would complement a contemporary setting giving you style and practicality everyday.